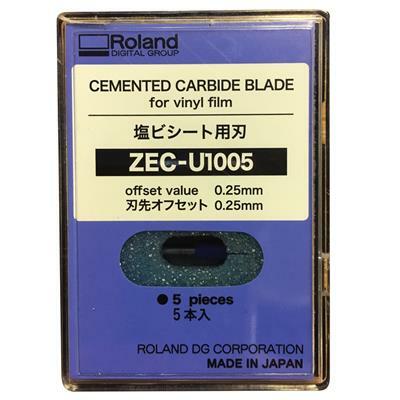 The high-performance ZEC-U1005 blade is used for cutting standard thickness materials. Excellent for general purpose cutting of 2-3 mil vinyl and small detail cuts. 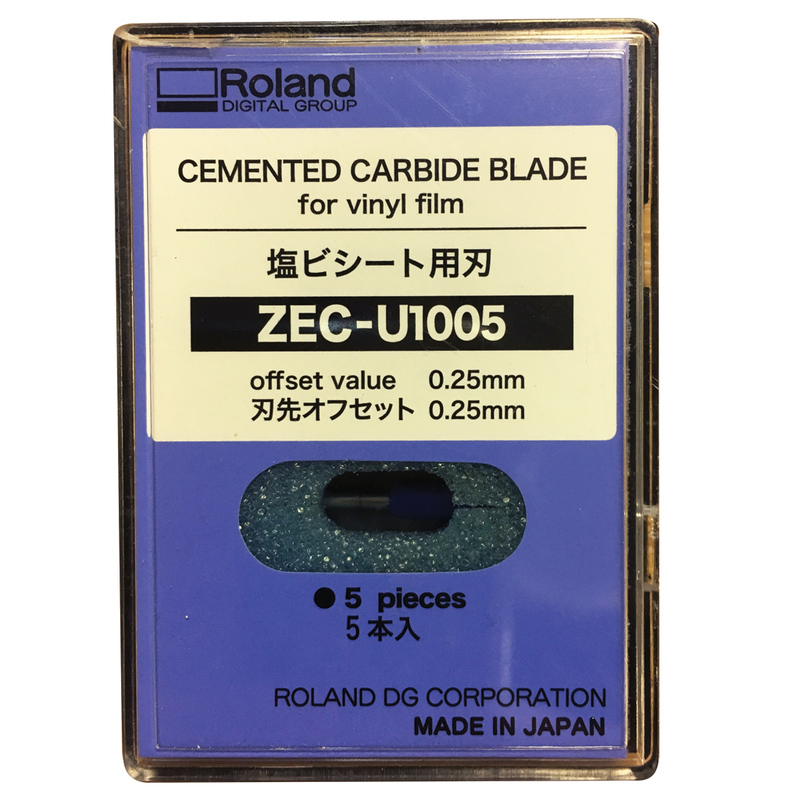 The Roland part number ZEC-U1005 is compatible with all Roland vinyl cutters and printer/cutters. This pack contains 5 vinyl cutter blades.